Building on its decade of experience in post-conflict Afghanistan, Rubia empowers bogolan artisans in Mali through a combination of poverty alleviation and cultural heritage preservation. 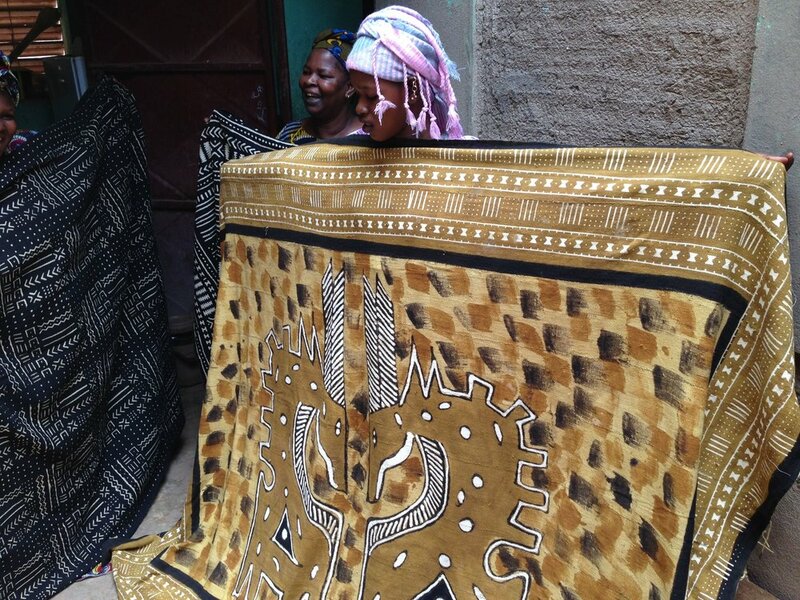 Currently, Rubia sells scarfs, wall hangings, bed covers and throws made by Malian artisans in US and European markets and uses the proceeds to purchase more textiles. 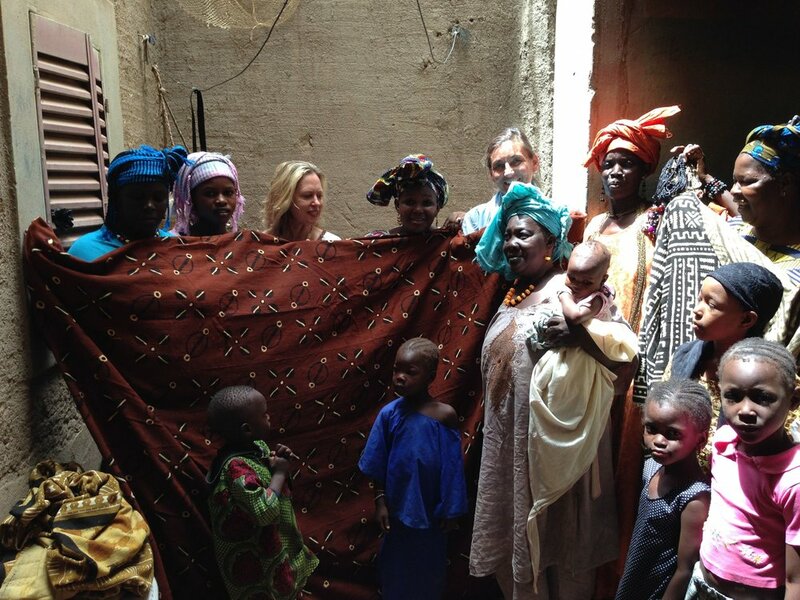 Rubia is partnering with two social enterprises comprised of women and youth artists: Ndomo Workshop in Ségou ; and Tanti Bogolan Women's Association in the UNESCO Cultural Heritage city of Djenné. While it flourished before Mali’s economic and security crisis, now Tanti Bogolan’s organization sells bogolan only to Rubia. For the women and youth we collaborate with, working with Rubia has been an opportunity to earn an income. Bogolanfini is a traditional textile made by the Bambara (Bamanan) people who live by the Niger River. Malian women first drew the geometric motifs with mud to communicate tribal narratives, and passed the symbolic language down from generation to generation of women. Each of the symbols has a meaning and each cloth tells a story. Bogolan has become a symbol of Malian cultural identity. Why do we work in Djenné and Ségou? Political instability has been threatening traditional livelihoods, exacerbating poverty and malnutrition in Ségou and the UNESCO Cultural Heritage site of Djenné. Known for the sacred “great mosque” with its signature trio of minarets, Djenné had long been a popular tourist destination —until 2013 when warnings of kidnapping and terrorism scared foreigners away. The economic crisis, referred to as “la crise” hit Djenné hard. Bogolan (mudcloth) artisans who had sold their textiles to tourists are struggling to survive. To view past programs, click here.